Hey Girl is not an outright Glam Cruncher, but has a Glitter Beat underlay over which streams a delightful melodic tune with many neat touches such as the Smoke (My Friend Jack) guitar sound and Popsike harmonies. Hey Girl is a top tune and performance regardless of genre. 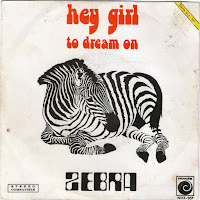 Zebra had pedigree as formed by ex Los Bravos members (who quit before this single) and had a quite a large output during their tenure from 1971 to 1976. You said you'd like to know if there's more gems. Twas inspired to check Soulseek for more and found both a singles collection and their sole 1976 lp. 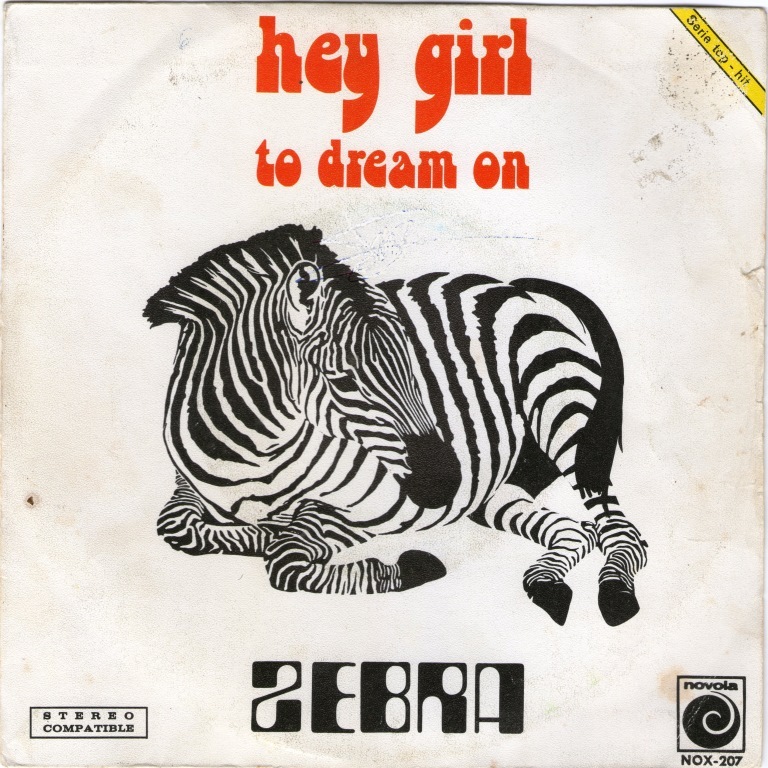 Nothing as glammy is Hey Girl or To Dream On but lots of wonderful 70s melodic pop music, some soft pop and a bit of Mersey. Plus 2 of the singles are in Spanish. The lp reminds me quite a bit of Stories (Michael Brown). Definitely my fave discovery in a while, and for that muchos gracis!. Have always enjoyed Los Bravos & Los Brincos, but never expected to hear Spanish 70s California music. If your interested, here's a link to what I found today. Decent bitrate/sound, tagged, with all the cover pics and some additional info/pics on the band I found.